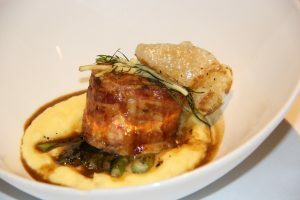 The Taste of Elegance is a culinary competition for Minnesota’s best chefs to show off their pork cooking skills. 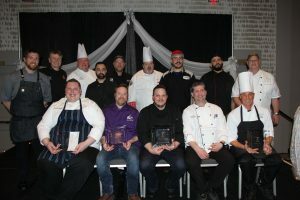 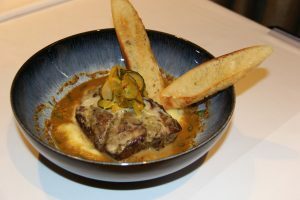 Chef Charles Plaetz received chef par excellence honors at the 31st annual Taste of Elegance pork culinary competition with his dish, “Ham” Loaf. 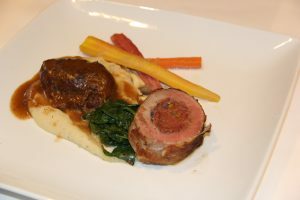 Braised Pork Cheek with Stuffed Tenderloin, Potato Puree, Sauteed Apple-Cider Vinegar Mushrooms, Tri-Colored Carrots, and Braised Spinach. 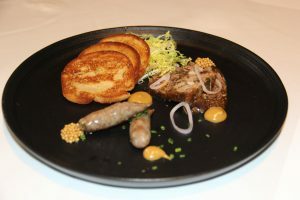 The Dinner Nurnberg Sausage, Head Cheese, and Pork Fat Brioche. 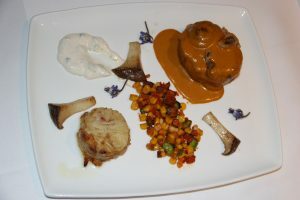 Chefs compete for prizes and opportunities to compete and learn at a National level.